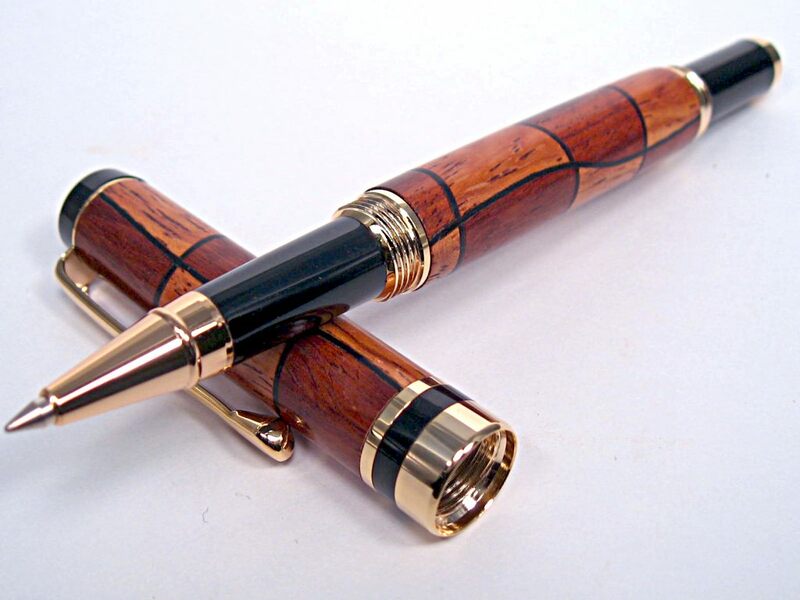 A few weeks ago, I made a couple of Segmented Pen Blanks, the first of which I turned last weekend, a fountain pen kit with walnut and oak stock, glued up with red veneer. 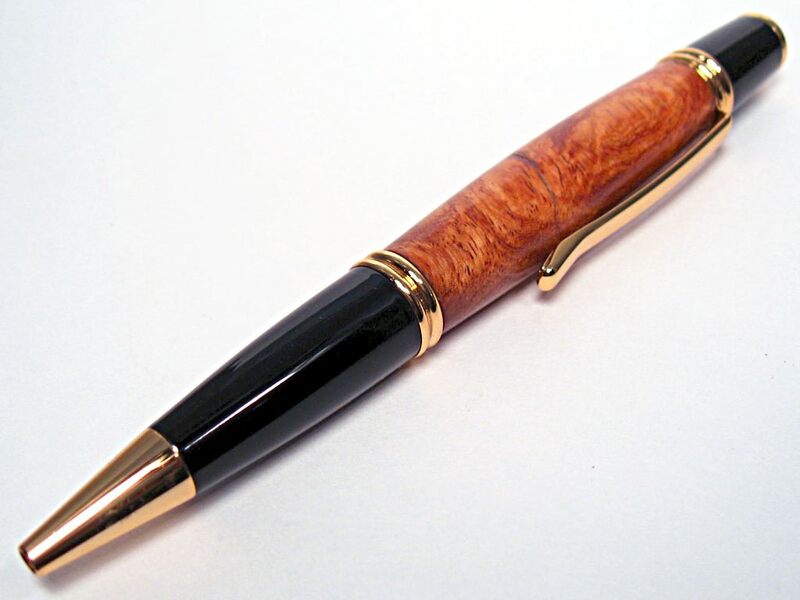 When making a blank of that style, there is usually a second blank for turning also. This blank was glued up in the same style, but using a black veneer between the pieces. 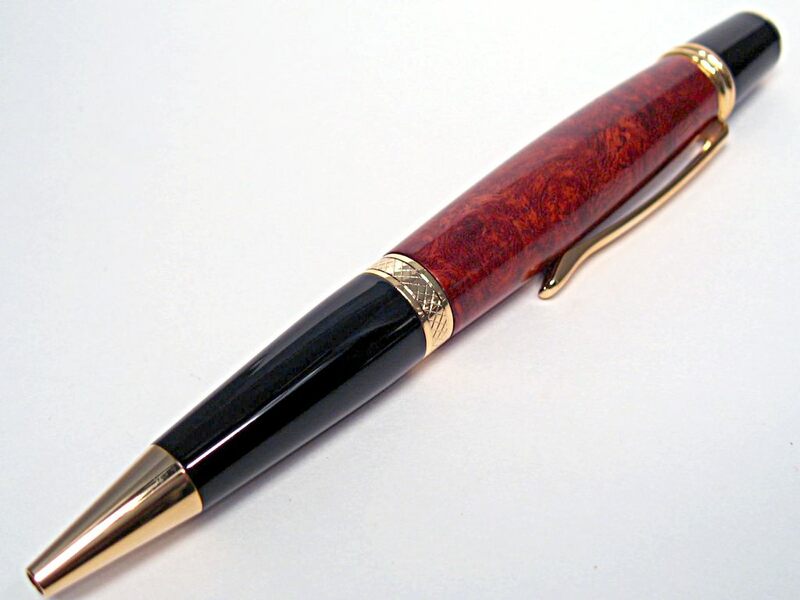 I also opted to use a roller-ball mechanism instead of a fountain pen. The blanks were turned and sanded to 600 grit, then received three coats of CA, followed by a high speed buff and wax. 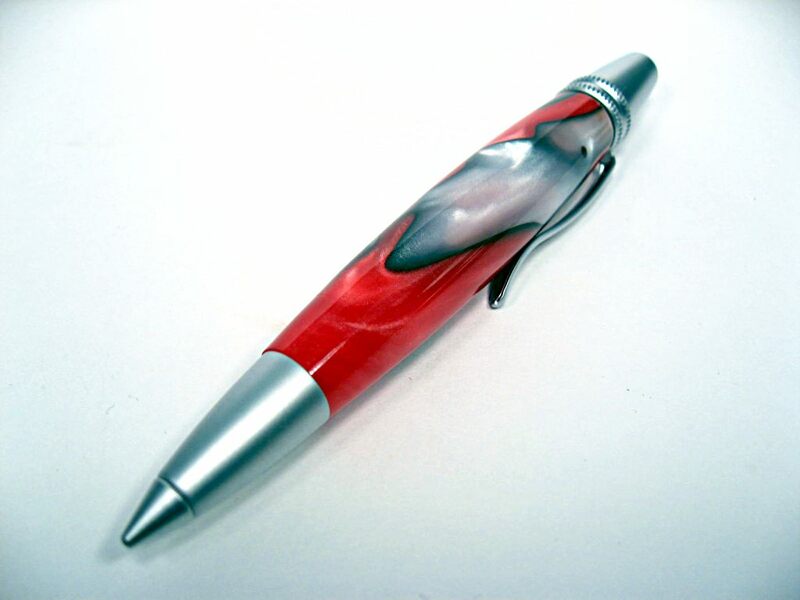 The second pen is an Atlas style twist pencil with satin silver finish and dressed in a Fire and Ice Acrylic. The blank was sanded with micro-mesh to 12,000 grit and poilshed with HUT plastic polish. The other two pens were "rehabs" from some turnings last year. I was never quite satisfied with the finish on either of them, so I lightly returned the blanks and refinished using the CA and high speed buffing technique. The first is a Maple Burl and the second is an Amboyna Burl. Both are Gatsby/Wallstreet Ballpoint twist pens.